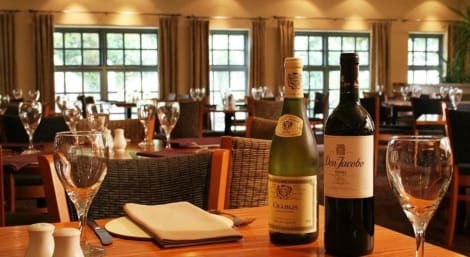 Ideally placed for a trip to Chester and filled with comfortable features, the 3-star Rossett Hall Hotel is a picturesque Georgian house in Rossett village. A TripAdvisor Certificate of Excellence winner, there’s everything for a great stay, set within peaceful gardens and housing a business centre and a gorgeous brasserie. Make the most of the luxurious surroundings over a sparkling afternoon tea, or unwind in tasteful, Georgian-inspired guest rooms with free wi-fi and flatscreen TVs. 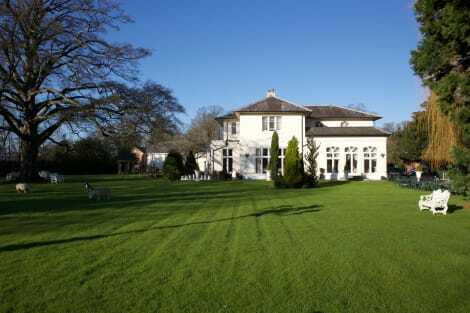 Set in the borders with glorious North Wales countryside, minutes from Chester and Wrexham, the Hallmark Hotel Wrexham Llyndir Hall, near Chester offers the perfect location for an overnight stay, conference, meeting or event. Enjoy superb gardens, beautifully appointed public areas, the very best in accommodations and an award winning health club and spa. The health club and spa includes a superb indoor swimming pool, sauna, solarium and an extensive gymnasium facility, in addition a health and beauty spa for those who simply wish to be pampered. Traditional lounges, a top quality chef, free wireless broadband Internet access, CD players in all rooms and quite unique touches of style and creativity throughout. The the Hallmark Hotel Wrexham Llyndir Hall is a true country house hotel, offering style, creative design and a high level of hospitality. lastminute.com has a fantastic range of hotels in Rossett, with everything from cheap hotels to luxurious five star accommodation available. We like to live up to our last minute name so remember you can book any one of our excellent Rossett hotels up until midnight and stay the same night.